The 45-year-old was last seen departing a Stagecoach bus no. 10 service at around 1pm on Saturday September 8, 2018, near Brodie Countryfare. The bus stop is situated around 200m east of the store on the A96 and the service was busy at the time. For the past week a team of specialist search officers with the assistance of Police Scotland’s Dog unit have been carrying out intensive searches of a vast expanse of land stretching out from the bus stop. These searches are ongoing and members of the public who regularly walk in the area – dog walkers, horse riders and tourists are being asked to look out for any sign of activity in case Wayne has been sleeping outdoors. Mr MacMillan was reported missing on Friday September 7, after friends raised concerns that they had not heard from him. We believe he had been travelling between Inverness and Aberdeen during that week but from Saturday afternoon onwards we have no confirmed sightings of him nor has he been in touch with anyone. Detective Inspector Allen Shaw said: “A significant period of time has now passed without Wayne being in touch with anyone. 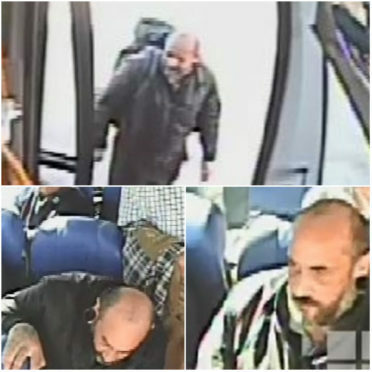 We know that he got off the no.10 bus service at Brodie on September 8 and we would like to speak to passengers who were on the bus at the time who remember seeing him. He added: “I urge anyone with information to please get in touch by contacting Police on 101 quoting missing person ref. no. MP180902922. I would also ask anyone who lives in the Brodie area to check any outbuildings, garages or sheds if you haven’t done so already in case he has taken shelter. “When last seen he was wearing a black T-shirt and black trousers or dark blue jeans and should be carrying a rucksack.